Mar 23 2019 - Mominur Islam had paid Tk 3 lakh to some manpower brokers in Naogaon to go to Malaysia as a worker. The brokers, who were actually members of a human trafficking gang, sent him to Benghazi of Libya where he was confined to a den and tortured on a regular basis for ransom. “Torture for ransom was an everyday affair,” 21-year-old Mominur, who recently returned home, told The Daily Star about his 13-day captivity. On February 16, he along with eight other fortune seekers from Bangladesh was taken to the den where 30 other Bangladeshi youths were already confined for ransom, Mominur said. He was lucky enough to get released and return home after police in Bangladesh had caught three members of the gang. Saifullah of Begumganj in Noakhali was arrested in an Uttara hotel while two of his cohorts — Ehsan Russell of Bumna in Barguna and Gulzar Hossain of Raninagar in Naogaon — were held at Shahjalal International Airport. 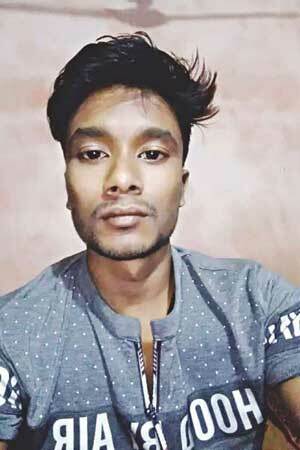 Mashiur Rahman, deputy commissioner (north) of Detective Branch of DMP, said they arrested the trio upon receiving complaints from Mominur’s mother Bithi Akhter. “Instructed by Saifullah, his associates in Libya released Mominur on February 28 and Mominur returned home on March 2,” he added. Bithi filed a case with Airport Police Station on March 4 and the next day Mominur made a statement before a magistrate describing his ordeal. Though there was no visa on the passport of Mominur, an officer of Airport Immigration Police officer said he first went to Sharjah on a tourist visa on February 12. “The human traffickers are taking people abroad using such visas,” said the official on condition of anonymity as he is not authorised to talk to the media. “We stopped allowing people to go to Dubai on tourist visa but we had to resume it after an influential quarter convinced the authorities,” he further said. Mominur said he and other job seekers went to Libya from Sharjah en route to Tunisia. After they flew to Sharjah from Dhaka by an Air Arabia flight, a person called Monir received them at the airport and took them to a hotel where they stayed for two days. Monir arranged their air tickets for Tunisia to where they travelled without any hassle. In Tunisia, another Bengali speaking man received them and arranged their tickets for a Benghazi-bound flight. Mominur said after they landed at the Benghazi Airport on February 16, a trafficking ring member named Zahid took them to the den in Tukra area. Mominur said there were many rooms in the den guarded by Bangladeshi and Libyan people. “One of the rooms was used as torture cell,” he said. Through video calls, they used to show the pictures of torture to the victims’ family members and even threaten to kill the hostages if ransom was not paid. Mominur’s mother said she had given Tk 1 lakh to Abdus Sattar of Naogaon and his two sons Abdus Salam and Abul Kalam as their counterparts in Libya threatened to kill her son and dump the body into the sea. “They again asked her to give another Tk 2 lakh to Shafiullah, Russell and Gulzar,” Bithi added. This time she sought help from the Detective Branch of police. Earlier on January 8, Mominur’s family gave Sattar and his sons Tk 3 lakh after they assured her of sending Mominur to Malaysia where his father is already working as a labour. She said they decided to send Mominur, who passed SSC in 2017, to Malaysia to ease their financial hardship. “We took a loan of Tk 3 lakh from a bank and relatives,” she said. She borrowed Tk 1 lakh at a high interest rate from a lender without having a clue as to how she would repay the loans. According to the Police Headquarters data, 7,840 people fell victim to human trafficking between February 2012 and June last year. The Rapid Action Battalion data shows they rescued 810 victims — 704 male and 106 females — and arrested 600 suspected human traffickers since 2006. There are extensive reports on human trafficking gangs in Libya who kidnapped Bangladeshis seeking jobs abroad and held them hostage for ransom. Some 24 Bangladeshis among 200 migrants from Asia, Africa and the Middle East died when two vessels carrying about 500 migrants, including 78 Bangladeshis, sank into the sea after leaving Zuwara off the Libyan coast for Italy in September 2015. In November 2016, Libyan police rescued at least 65 Bangladeshis from a traffickers’ den in Tripoli.